Attorney Laura E. Gorsky joined Stackpole & French Law Offices in 2018. Based out of the firm’s Jeffersonville office, Laura is a general practitioner who represents clients primarily with residential and commercial real estate transactions, landlord tenant matters, estate planning, small estates and probate proceedings, and municipal tax sales. Laura obtained her B.S. from Cornell University and a Paralegal Certificate from Woodbury College. Laura was admitted to the Vermont bar in 2017 after successfully completing the Law Office Study program with her mentor, Attorney David M. Sunshine. Before obtaining her law license, Laura served for many years as the sole paralegal of the Law Office of David M. Sunshine, P.C. in Richmond, Vermont, which merged into Stackpole & French in 2018. 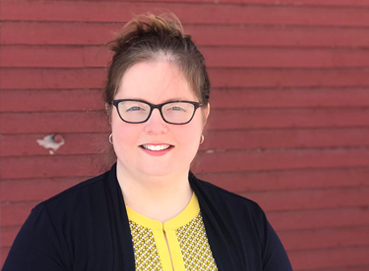 Born and raised on her family’s dairy farm in Stillwater, New York, Laura offers a rural, practical perspective on the practice of law and is happy to call Vermont her home. She is a member of the Vermont Bar Association and serves as the Administrator for the Central Vermont American Inns of Court. In her free time, Laura enjoys a rural lifestyle with her husband and dogs at their home in Fletcher.